Be a Professional! 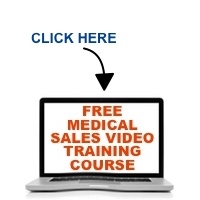 What Does That Mean in Medical Sales? You’ve heard it from medical sales recruiters. You’ve heard it from your manager. You’ve heard it from your medical sales colleagues. “Be a professional!” It sounds like good advice…in fact, it is! But what exactly does it mean? In this weeks podcast, Mace Horoff describes the attributes of professional behavior as it relates to medical sales. Listen and assess yourself to see if you measure up to the standards of professional behavior for the medical sales profession. Medical sales is like playing a competitive sport — you need to develop and maintain specific skills if you expect to stay in the game, let alone win. The highly competitive world of medical sales is not for the faint of heart or the unprepared sales rep. Listen as Mace Horoff explains “What’s in it for YOU” when you spend 15 minutes with this free Podcast every week.